View More In Electronic Learning Products - Page 4. 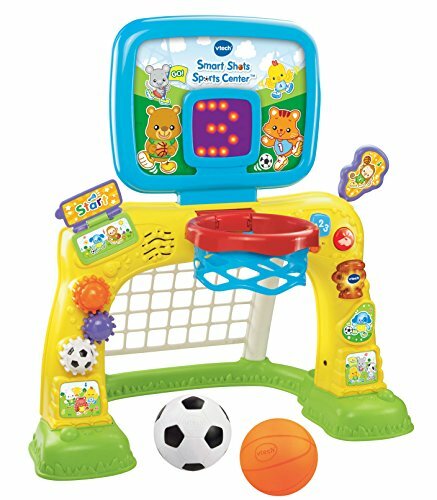 Shoot, score and learn with the smart shots sports center by VTech. Toss the basketball into the hoop to score points or kick the soccer ball into the net to hear fun sounds. Press buttons, turn gears and flip pages to learn about shapes, numbers and more.